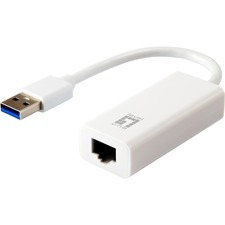 This USB to RS422/RS485 Converter connects to a computer using USB and allows you to connect any RS-422 or RS-485 serial device via the provided DB9 port or hard-wired to the terminal block. 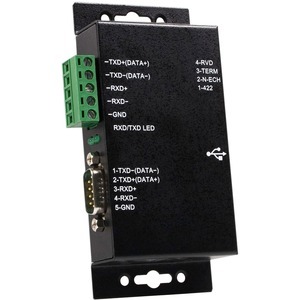 The converter features circuit isolation to ensure that sensitive controls and devices will not be damaged while connected, making it a viable solution for connecting costly industrial serial devices. The RS422/485 Converter receives full power via the host USB connection, and provides power to the attached serial device without requiring an external power adapter. Designed to provide a durable serial solution, the USB to RS422/485 Converter is ruggedly constructed and can be mounted nearly anywhere.